Visitors to our chapel are likely to notice a three dimensional Passion Sign display gracing the altar of St. Paul of the Cross. This beautifully crafted wood and clay artistry was the inspiration of one of our Oblates, Tom Carter. "My own involvement with the Passion Sign can be traced back eight years, to the first time I set eyes on it. From that time forward, I believe the Passionist Founder, St. Paul of the Cross, has walked closely with me. At times my mind revealed glimpses of Paul's desires for me, becoming my companion and friend as I stumbled along faith's pathway. I believe it was Paul who drew me so strongly to this Holy Sign, to more deeply comprehend its meaning and with my limited understanding to create a three dimensional version of it through which Our Lord would continue to draw hearts to His own. 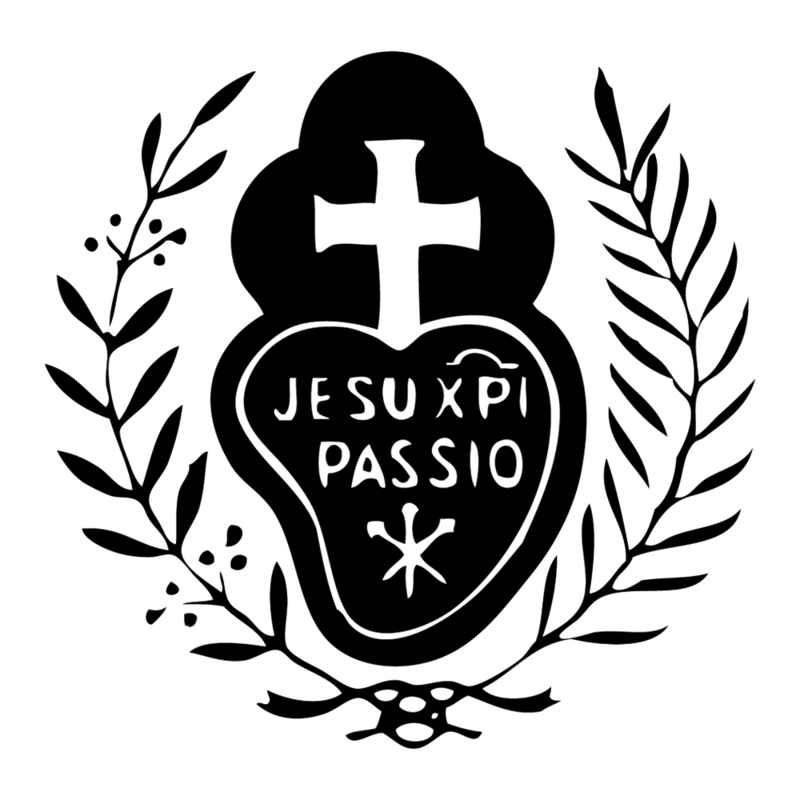 I asked myself: ‘What is it that makes a Passionist heart so special?’ Our Holy Founder said the beasts of hell would flee in fright of it. His faithful wear this Sign close to their breast as an outward sign of their love for our Crucified Lord, and their desire also to love as He did, but its external existence is not the true gift, for it reaches its true intent when the one wearing it reveals God's love through the transformation of their inner heart. St. Paul of the Cross's love was so great that Our Lord touched his heart with divine favor and placed within it all the instruments of His Passion and death. O what a sublime gift! Paul would contain within his heart the understanding of that ultimate love which God had for the world…why He laid down His life for us upon the cross…what supreme value He placed on each of us, from His first thought of us and the endlessness of that love in the realm of His eternal presence. Its design proclaims the very teachings of the Church: the Trinity, the Paschal Mystery, and the Indwelling. A true treasure of contemplation for the soul. O, the beauty of this heart which has inspired so many! It also calls me to look deeper at Christ's love and to listen to the voice of my heart.